At Paradigm, we’re fascinated by web design trends. These trends are often powered by the shift in popular platforms, technology and increasing network bandwidth. In 2017 we saw many advancements, especially in the capacity for high definition and interactive video content. This phase of online video usage could be termed web video 2.0. Video is an excellent medium to present a product, service or brand and take user experience to a much more interactive level. For this reason, elegant, creative and professional videos are becoming increasingly popular in web design today. Full-screen video featured in a header of landing page appears to be the most popular choice in most cases. Gourmet House Caviar, for example, featured a video that uses a series of short clips strung together, then looped in the background in the header as its hero visual element. This is an effective way to create a captivating impression of its brand and product right from the start. Small video elements as background is another way to give life to a page and engage viewers in a more subtle fashion. This technique is applied to resemble a still image at first glance and using only subtle movements to represent it as a video. The most popular use of this technique is with backgrounds where slight movement, such as the rustling of leaves and flying birds shown on Fournier Pere Fils‘ website. While the use of background video has been growing steadily, the emerging trend we noticed is interactive storytelling. Interactive video experiences allow users to follow a story and makes choices through clicks, taps and creative controllers to influence the outcome. 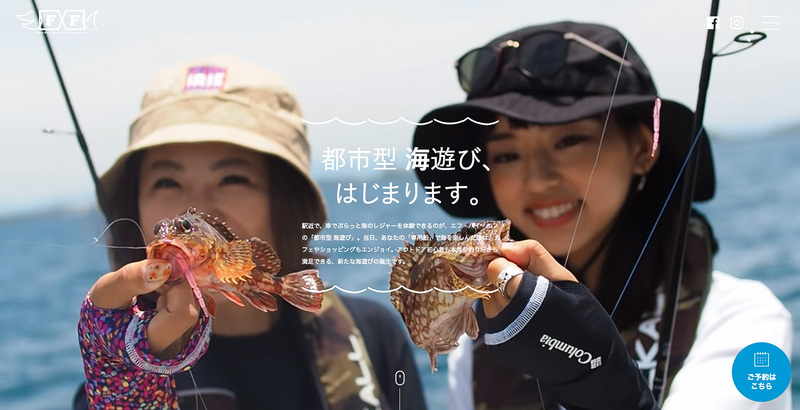 The experience created by Suntory Whisky take users on a journey through a series of short and visually captivating videos. This technique invite users to participate in the storytelling process to creates an emotional connections that can truly create lasting impressions. The ability for websites to display videos with exceptional clarity and smoothness was made possible when YouTube started supporting high frame rate (HFR) video playback. Featured on FxF Fishing’s website is an example of video shot in HFR format (60 fps). The experience is dynamic and realistic, almost close to a high-quality version of the 3D illusion. Video is a great tool to draw users into a website and generate a lot of interest. The key here is high definition and professional production. It needs to render crisply at high resolutions, as well as convey a professional look and feel — from the images captured to its framing and editing. As browser technology advances and (fairly) ubiquitous fast internet becomes the norm, seamless video is now possible on almost any device and in any environment, therefore the reasons to use video are even more compelling. We can’t wait to see what designers are going to come up with and how they’re going to push the limits in 2018.